Every licensed business requires incorporation, or the founding of a legally-observed business entity. Some businesses are corporations, and some are limited liability companies. Firms that provide services are usually general partnerships or limited liability partnerships. There are several other types of businesses in the United States, each of which provides various advantages and disadvantages to their performance. Converting your business into a partnership could very well save your fledgling business. Let’s look into five major benefits of forming a partnership. Partners are legally liable for paying creditors or lawsuits against the partnership. As such, these added responsibilities will encourage other owners to get up and do something, becoming active in the organization. If you feel other owners aren’t doing enough to provide for the organization’s welfare, incorporating a partnership will encourage them to do so. A benefit of partnerships is their detailed profit, loss, and liability sharing agreements. Every partnership’s articles of incorporation must establish these features prior to formation. If others with ownership stakes in your business earn too much money for not doing anything, or aren’t engaged in everyday operations, the articles of incorporation can be written to reflect this. If every owner votes to exclude a certain owner, that unwanted person will be ousted from the organization. This is a good idea for entities with owners that aren’t doing their jobs. There are plenty of reasons why owners should be outed from a business; whatever your particular situation is, a partnership will undoubtedly help. In other forms of business, owners may be required to pay for a number of business expenses, from day-to-day to one-time and everything in between. Partnerships evenly distribute all these expenses so non-contributing partners pitch in as well. No business owner should be stuck paying for the entirety of a business, especially when there are other owners in positions to contribute. Searching for new business partners may result in new services to offer, or resources to benefit from. 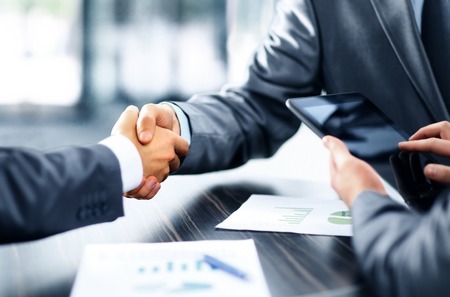 Admitting new partners can very well boost your entity’s performance. An accounting partnership may bring in a lawyer that has an extensive customer list of people who aren’t already served by certified accountants, bringing new opportunities to your business. Many business owners overlook the potential advantages of switching to other forms of incorporation. Creating a partnership may very well improve your business’ welfare.